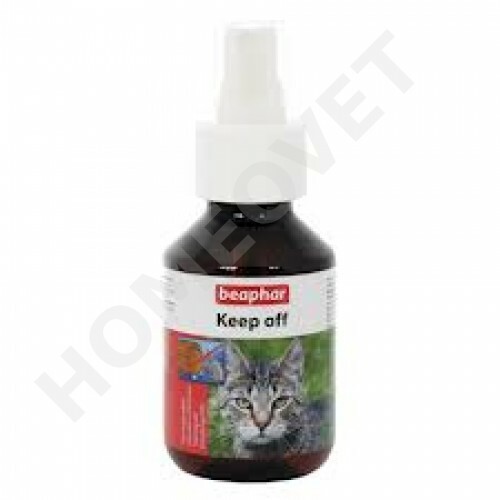 Beaphar keep off spray, has been developed as a safe and effective way of deterring cats from indoor areas where they may be unwanted. At a distance of 30 cm for 3 days spray items daily. If necessary, including once per month apply. Remove animals and feed bowl. This medication can cause stains.